YOUR CHILD IS VULNERABLE TO MUSIC-INDUCED HEARING LOSS. HELP PROTECT THEM THROUGH OUR EXCLUSIVE DETECTION AND PREVENTION PROGRAM. Music can play a principal role in childhood hearing loss. 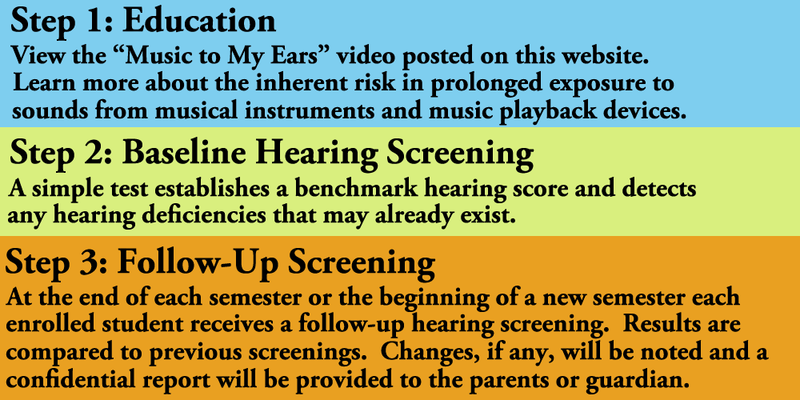 Students who participate in a school band or orchestra, or who take individual or group lessons to learn a musical instrument, can be exposed to sound levels potentially damaging to their hearing. Even playing a seemingly benign flute or violin can be unhealthy, and exposure to the collective instrument sounds in a band or symphony orchestra only exacerbates the problem. A SYMPHONY ORCHESTRA MUSICIAN IS EXPOSED TO DECIBEL LEVELS ABOVE 120. EXPOSURE FOR MORE THAN 15 MINUTES A DAY CAN LEAD TO SIGNIFICANT HEARING LOSS IN ONLY A FEW YEARS. Want to know how many decibels are generated by various musical instruments or types of musical groups? View or download an informative chart. The “Music to My Ears” program follows a student from enrollment through their senior year in high school, all covered under a one-time, nominal enrollment fee. No student will be denied entry into the program for financial reasons. 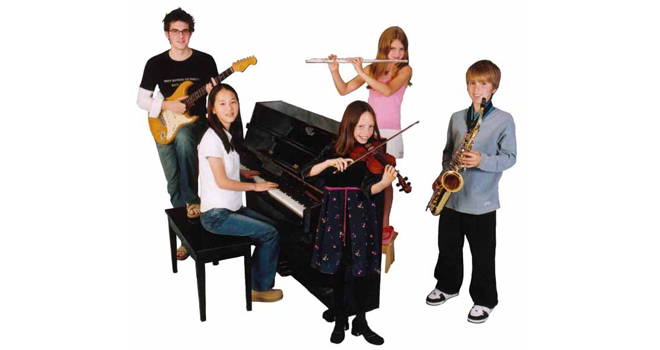 A student may be enrolled regardless of whether he or she is currently participating in any public school or private music education activities. Enrollment in the “Music to My Ears” program is now open. You can sign-up here on the Hearing Wellness Centers website or call our office at 847-266-8000.